It’s your lucky day! You may not have found the end of the rainbow but we have a little bit of gold for you. 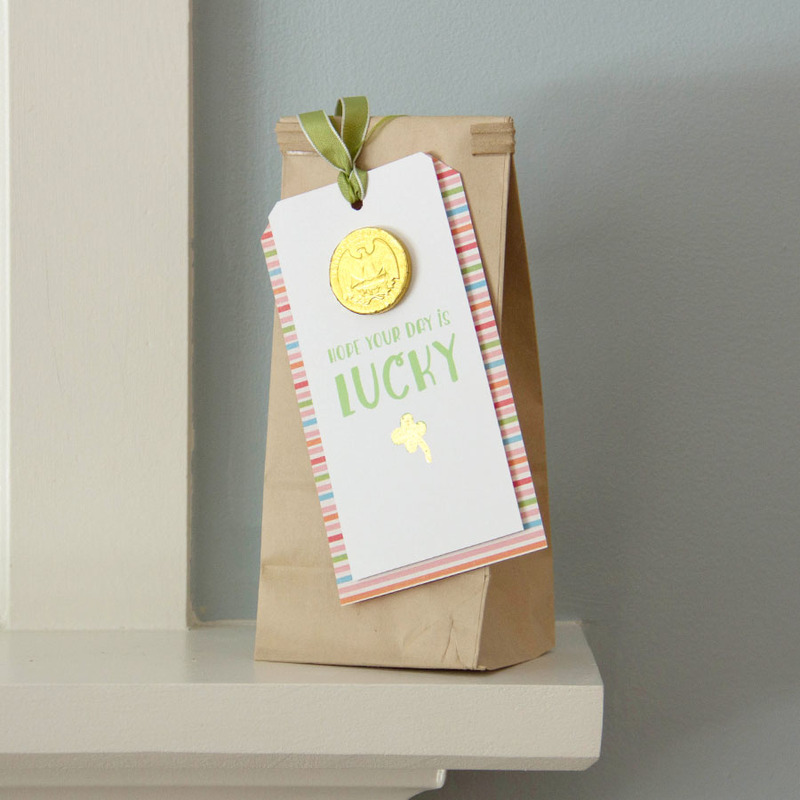 We’ve been dropping these little good luck tags all around town and want to share them with you too. Today’s project uses our metallic gold foil sheets and glue pen. 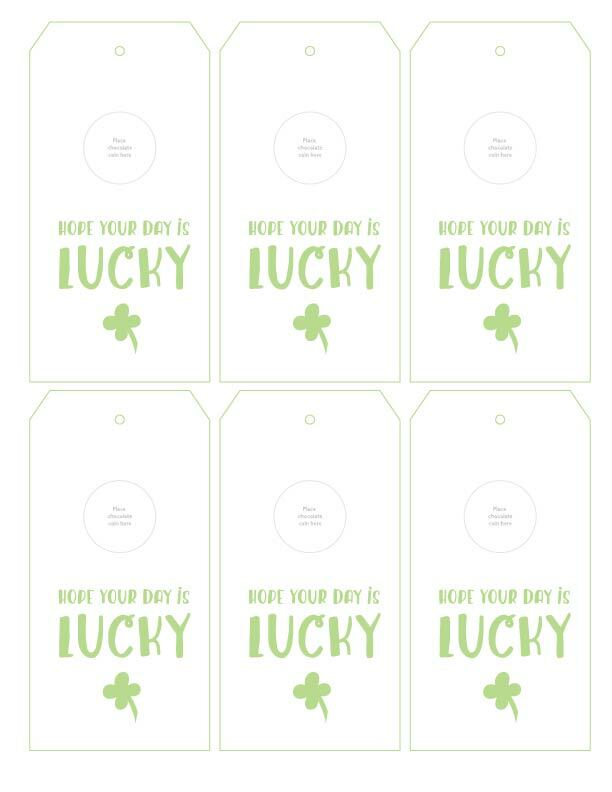 White paper, Lucky Day Tag download, gold foil, glue pen, 1/8″ hole punch, scissors, foam adhesive, pattern paper, chocolate coins, green ribbon and mini lunch sack (optional). Add the tag to a small package or give as a small token. Chocolate and luck, what’s not to love?! 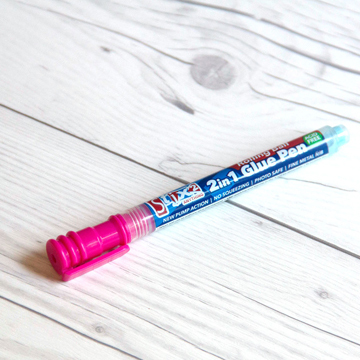 Glue pen works just like a pen! 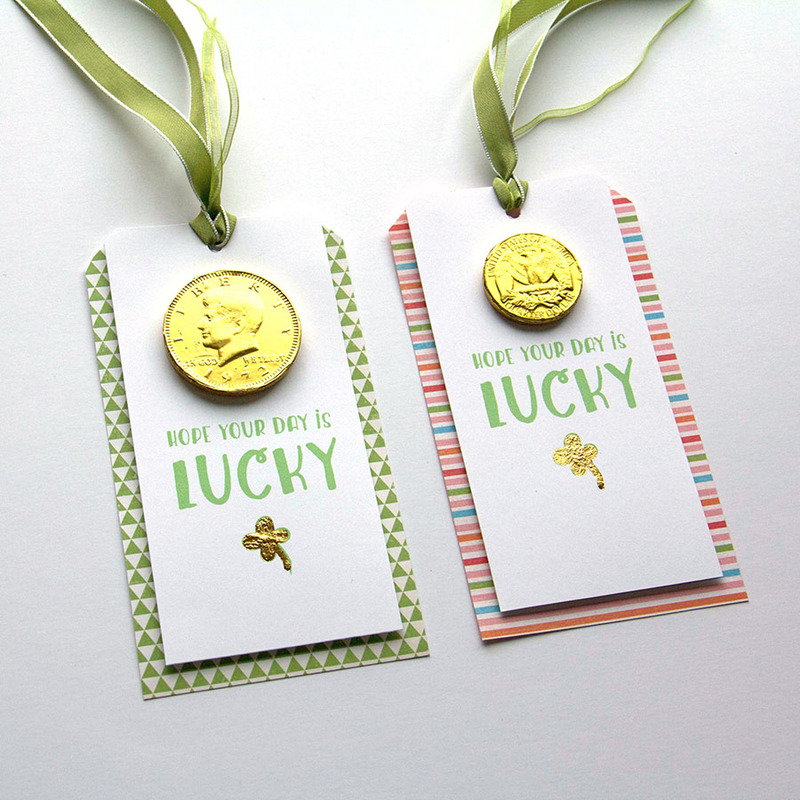 Print tag and draw glue onto shamrock. 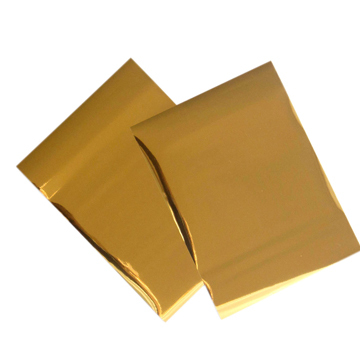 Gold foil adds the right amount of shimmer. 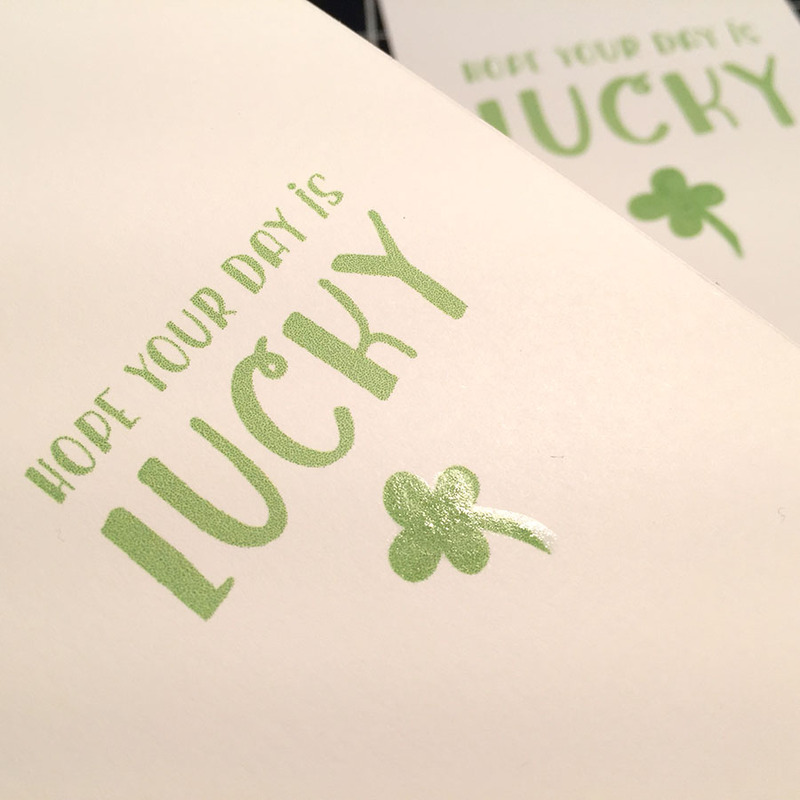 Press foil onto dried adhesive to reveal gold shamrock. As we continue on our mission to bring you new and innovative products we want to take a minute to express our love. Thanks for the awesome support and goodwill. We hope you enjoy this free download and hope it helps you spread a little luck around. 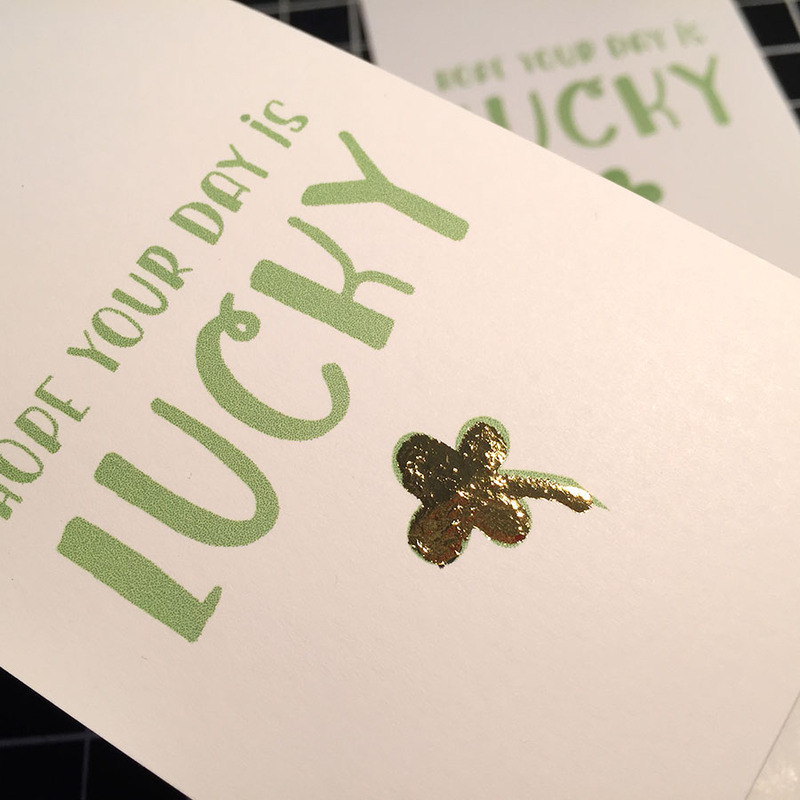 This entry was posted in DIY Projects, Free Downloads and tagged Foil Sheets, Free Download, Glue Pen, gold foil, Lucky Day, Lunch sack, St. Patrick's, tag. Burlap Accents – new to our online store!